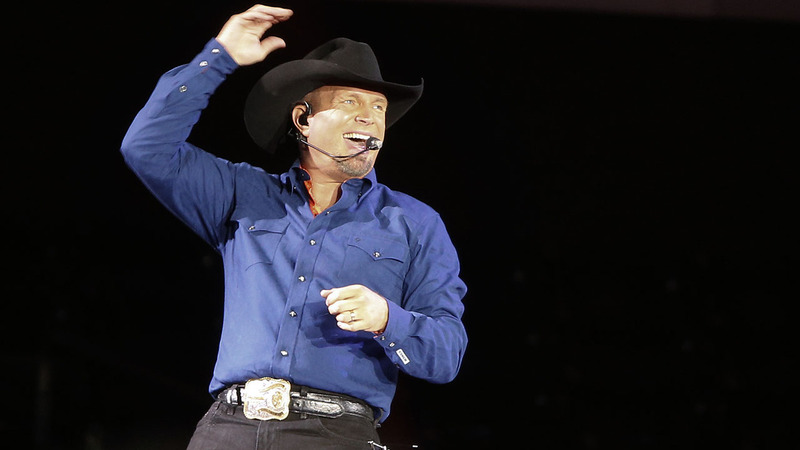 NASHVILLE, TN -- A week after launching its paid streaming music service, Amazon announced a deal with one of streaming music's biggest holdouts: country superstar Garth Brooks. Brooks, the best-selling solo artist in U.S. history with 138 million albums sold, has kept his music off streaming services. On Wednesday, select albums and songs will be available on Amazon Music Unlimited. His albums, previously available only through his GhostTunes service, will be sold digitally via Amazon Music. Brooks said he waited until the right partner came along before he was ready to dive into streaming. "I love retail to death, but retail will never tell me what my stuff is worth and will never tell me how to sell it," Brooks said in a telephone interview from Los Angeles. "That's the tail wagging the dog for me." "This is a landmark moment for both Amazon Music and Garth Brooks," said Steve Boom, vice president of Amazon Music, in a statement. "Garth Brooks is a legendary country music superstar who continues to shatter industry records and amaze fans three decades into his career. We are honored to make his music available for streaming for the first time ever, exclusively on Amazon Music." Brooks entered semi-retirement in 2000 near the height of his popularity to spend more time with his children and wife, Trisha Yearwood. In 2014, he returned with a major tour and a new album, "Man Against Machine." His upcoming albums, "Gunslinger" and "Christmas Together" with Yearwood, will be added to the streaming service later this year. Two of his best-selling albums, "Ultimate Hits" and "Double Live," will be available for streaming. They include his popular hits "Friends in Low Places," ''The Dance" and "The Thunder Rolls." His current single, "Baby, Let's Lay Down and Dance," will also be available on streaming. Amazon Music Unlimited is competing against existing services such as Spotify and Apple Music. It costs $8 per month, or $80 a year, for members of Amazon's Prime loyalty program, while non-Prime members pay $10 a month. For Brooks, it was its flagship online retail store that made him choose Amazon. "For selling music, they are perfect because they do physical and digital," Brooks said. "Here comes, out of the blue, a place that says, 'We can stream and sell and if you don't want to sell singles, just be an album artist, we're fine with that. And whatever price you want to put on them, high or low, we're fine with that, too, because we're retail.'" Brooks talked with both Spotify and Apple, but said Amazon made a better overall offer with downloads, streaming and physical album sales. Like many artists who have resisted streaming services, Brooks has concerns that songwriters and publishers aren't adequately compensated. He is on his own independent label, Pearl Records, and he said that allows him to see how the money from streaming music gets back to the songwriters. "For the first time, I am going to get to roll up my sleeves and look under the hood and see what is happening," Brooks. "But we can't deny our songwriters are dying. I am getting ready to see if this is a good thing or a bad thing."